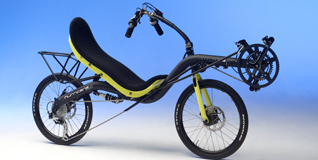 This concept of recumbent bikes is introduced by the Challenge Hurricane and carried on through the addition of the Fujin Tour and Furai. 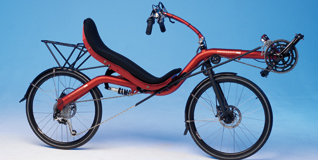 The Mid Racer blends the Low Racer's ultimate aerodynamics with a more day-to-day friendly seat elevation and a more upright seat angle. 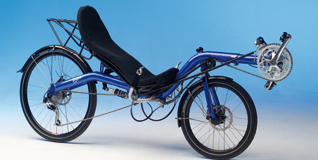 Better maneuverability, visibility, and climbing power are the result. Fast in the city, fast in the country. AVERAGE WEIGHT 46 cm / 18,1 "
AVERAGE WEIGHT 38 cm / 15 "
AVERAGE WEIGHT 39 cm / 15 "